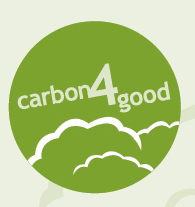 Thanks to the good people at Carbon4Good, we are now able to offset the emissions from each cremation and so are further along the sustainability road! They have calculated several factors for each cremation, including use of the car to transport the coffin, the coffin itself and the energy used by the cremator. We will be able to have two trees planted for each cremation, starting this week. This offset will add a cost of $10 to each cremation. We are very excited about this development, as we move closer and closer to becoming a fully sustainable funeral compamy. We hope that other funeral companies follow our lead. converts to 3666kg of CO2. of petrol produces 0.002 tonnes of CO2.